THERE have been some days where the Woodlea Rural Fire Brigade have received multiple call-outs at the same time this season. And according to the brigade's first officer Jesse Russell, the large fires will continue until conditions drastically change. "Without question, this fire season is no where near losing momentum,” he said. Members from the Woodlea RFB attended a vegetation fire at Ma Ma Creek on Saturday, with a section of the fire rendered inaccessible. "Tricky terrain always poses a challenge for us, but we had some fantastic brigades working along side us to get the fire under control,” Mr Russell said. Crews broke the fire down into sections to extinguish it effectively. Mr Russell said one section was inaccessible for the brigades appliances, but most of it burnt out overnight. "There's still a lot of fuel loading in that area and the Lockyer Valley overall, so we really encourage people to be vigilant,” he said. Also attending the Ma Ma Creek fire were new recruits Patrick McCarthy and Kristie Smith. 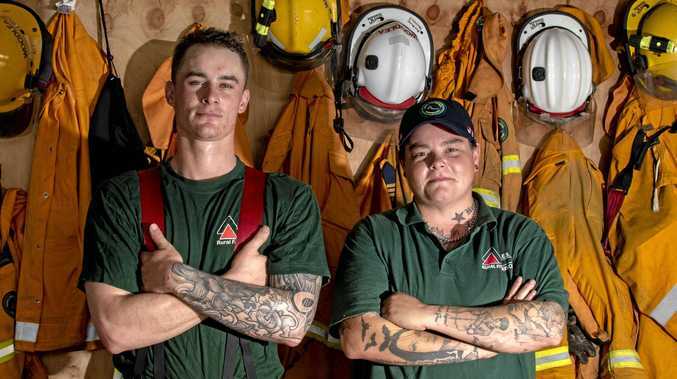 Ms Smith became a volunteer firefighter about three months ago, and has since been on a number of call outs. "It was devastating because it's people's homes under threat,” she said. TWO people who breached local fire bans last week will receive "appropriate actions” from authorities. 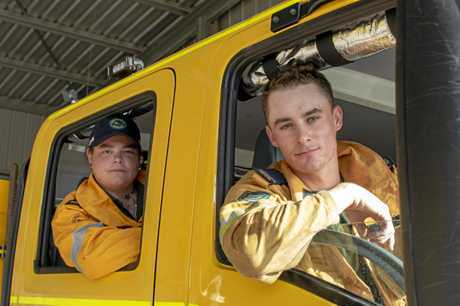 QFES Rural Fire Service West Moreton area director acting inspector Paul Storrs said he was concerned by the actions not only placed on the landholder but the rest of the community. "At times like this, communities need to work together to ensure their own safety,” he said. During the past week Mr Storrs said community members had been extremely vigilant, phoning 000 when they spotted smoke. On Saturday. crews attended a fire at Ma Ma Creek after a hazard reduction burn got out of control. A total of 14 crews attended the fire across the weekend, which burnt about 100 acres. Crews continued to "mop up” the blaze until about 10pm on Sunday. "It highlights the need for everybody to be checking the weather before they light their fires as the weather can change,” Mr Storrs said. Not only have dedicated volunteers assisted with local fires, they have alsohelped in surrounding areas. Mr Storrs said almost every Lockyer Valley rural fire brigade had provided support to the Undullah fire south of Ipswich. He urged landholders to review their bushfire plans. "As much as our traditional fire season has passed, potential storms could create fires from dry lightning,” he said. "My concerns are that all of our landholders need to have reviewed their bushfire survival plans and know exactly what they are going to do.